The Klotz D-Sub 25p. 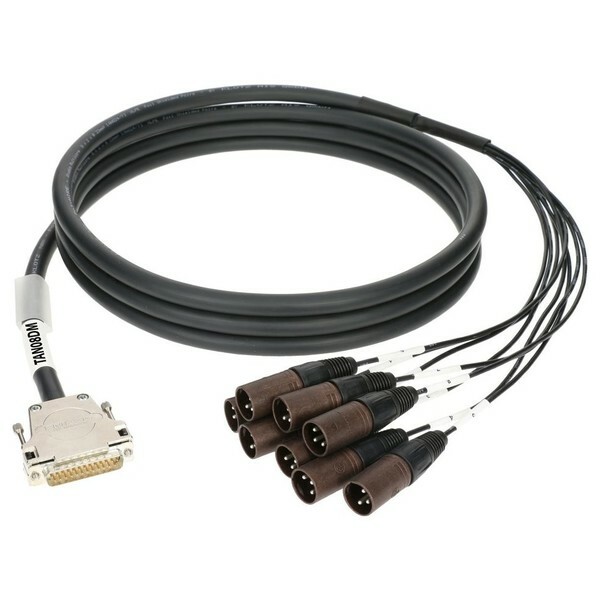 Male - 8x XLR Male, 1m is a high-quality breakout cable designed for use with AES and analog audio equipment. The highly flexible cable features XLPE insulation (cross-linked PE). It is suitable for use with Tascam Mackie Yamaha and Focusrite equipment with a D-Sub connection. The pin output adheres to the AES59 standard, and the cable includes additional screws for Yamaha compatibility. The cable features a D-Sub male connector, feeding into eight Neutrik XLR male connectors.